Along with the all-new second-gen Nissan Leaf, the Japanese manufacturer has unveiled a concept that targets Nismo enthusiasts as well. 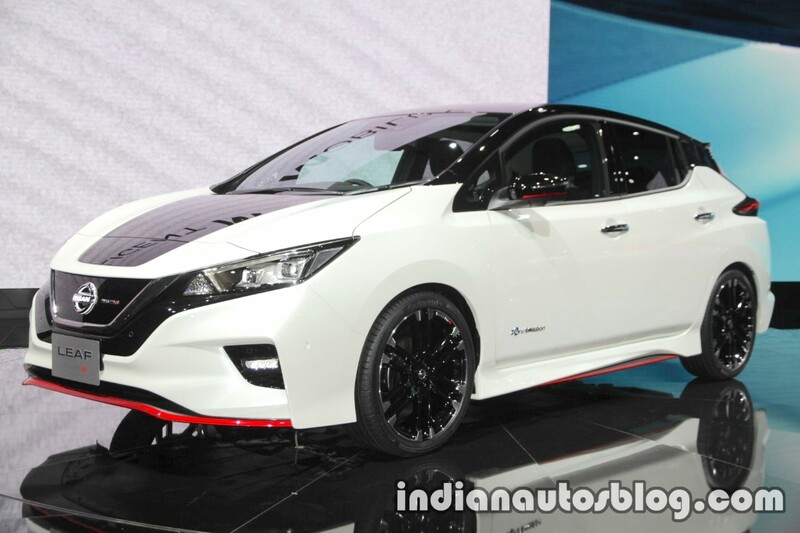 The Leaf Nismo concept previews a possible performance-spec variant of the EV. If it does come to fruition, the Leaf Nismo will be the first EV to be sold under Nissan's skunkworks division. The concept features some of Nismo's familiar styling tweaks such as a front-lip spoiler, side skirts and diffuser-style rear bumper with red highlights, red ORVM accents, six double-spoke alloy wheels have replaced standard wheels, and replete with NISMO badges. The performance-oriented theme extends into the interior, featuring red contrast stitching on the seats and steering wheel, red accents around the HVAC vents and start-stop button, and a red mark on the 12'o clock steering position. To complement its sporty visual characteristics, Leaf NISMO Concept has a sport-tuned suspension and a tweaked power unit controller for faster performance and better handling. 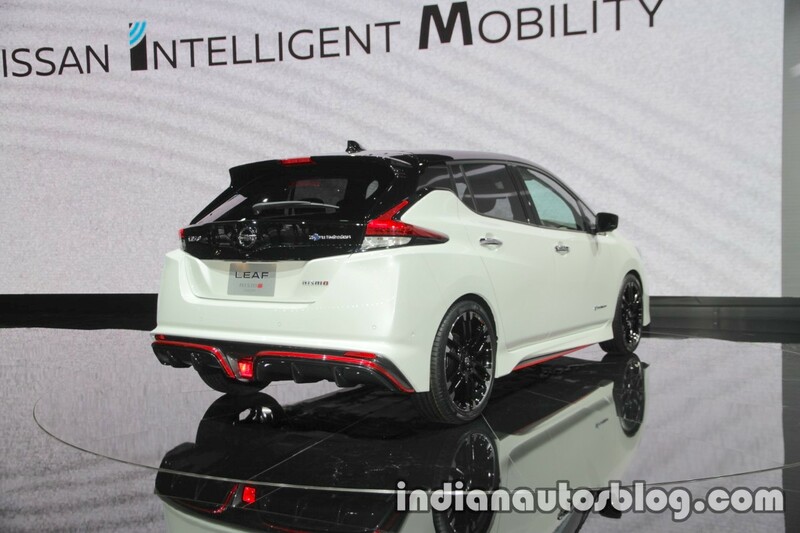 Nissan has not released any definitive technical details of the Nissan Leaf NISMO Concept. The standard Leaf has a 40 kWh battery pack as standard, which powers the EM57 electric motor. The electric motor produces 150 PS and 320 Nm of torque. The car has a maximum driving range of 400 km as per the JC08 test cycle.